I suffer from anxiety and I have a fear of HIV since I knew someone very close to me die of it. I was walking the fair about three months ago and we were walking to the car and I stepped in an area where there was a tree with roots, grass, and dried leaves. I was wearing sandals and I felt as if I had passed an area that felt pinchy but in more than one spot. I kept walking no big deal no pain. My phobia is so much that I got in the car and did not see anything but when I got home there was red phased mark on my foot (that could have been there from before who knows). I would touch it and it would disappear and then it would come back. My mind automatically thought "what if I stepped on a needle" etc.....I drive myself insane!!!! I even begin to feel like my heart is racing...... I see blood, needles, etc. and I panic; irrational thoughts do happen that day I did not see any blood but I automatically thought, needle..... what about people who walk barefoot all the time????? Like this there can be many other things that happen and I am constantly talking to my family members about it... My sister tells me it could have been anything. phobia (an irrational, intense and persistent fear). It probably relates directly to the trauma of losing a loved one to HIV. Your mind is stuck on the thought of HIV and infection by needles and so everything triggers this fear. 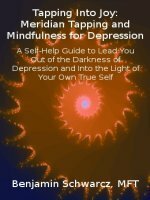 The absolute best, fastest and most successful treatment for this sort of phobia is Meridian Tapping/EFT. You can learn to use this for yourself, or work with a therapist who uses this method. It's quite possible that you could eliminate this phobia permanently within one session - unless it relates to other emotional issues or traumas, in which case it may take a little bit more time. There's no need to have to go on with the burden of this phobia. Addressing both the fear itself, as well as the feelings related to the loss of your loved one, would probably clear this phobia for good.